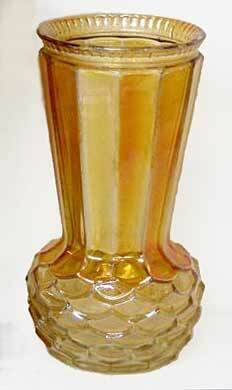 The maker of these 8-inch tall marigold vases is believed to be Canning Town Glass Works (England). A few rare examples are known in smoke. This marigold example sold for $30 in 2008.